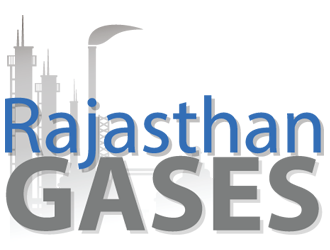 Code of Conduct - Rajasthan Gases Ltd. Under Clause 49 of the Listing Agreement the following code of conduct has been approved by the Board of Directors and is applicable to the Directors and Senior Management of the Company. All Directors shall conduct their activities, on behalf of the Company and on their personal behalf with honesty, integrity and fairness. All Directors will act in good faith, responsibility, with due care, competence and diligence, without allowing their independent judgment to be subordinated. Directors will Act in the best interests of the Company and fulfill their fiduciary obligations. All directors and senior management employees of the Company shall at all times ensure compliance with all the relevant laws and regulations affecting operations of the Company. They shall abreast of the affairs of the Company and be kept informed of the Company’s compliance with relevant laws, rules and regulations. In the event that the implication of law is not clear, the course of action chosen must be supported by eminent legal counsel whose opinion should be documented. The Directors and senior management employees of the Company during the course of interaction with suppliers and customers, shall neither receive nor offer or make, directly and indirectly, any illegal payments, remuneration, gifts, donations or comparable benefits which are intended or perceived to obtain business or uncompetitive favours for the conduct of its business. However this is not intended to include gifts of customary nature. The Directors and senior management employee shall follow all prescribed safety and environment-related norms. Our company and its employees shall neither receive nor offer or make, directly or indirectly, any illegal payments, remuneration, gifts, donations or comparable benefits that are intended, or perceived, to obtain uncompetitive favours for the conduct of its business.The company shall cooperate with governmental authorities in efforts to eliminate all forms of bribery, fraud and Corruption.